Has the time come for Ford service in Downtown Denver? If your answer is yes, then turn to the auto mechanics at Mancinelli’s Auto Repair Center. Our level of service can’t be matched by other auto repair shops and dealerships, as our team is chosen again and again by drivers throughout Downtown Denver and beyond for Ford service and repair. We recognize that your time is valuable. While our team of ASE-Certified Master auto mechanics are servicing your Ford, we encourage you to utilize our shuttle service. 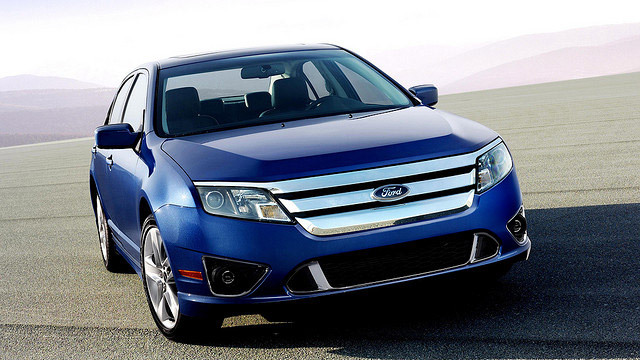 If the service your Ford requires is extensive, we may be able to arrange a rental car for you. We want to make the process for you and your family easy, which is why we will work together to ensure your experience at Mancinelli’s Auto Repair Center is painless and stress-free. “I have been a customer for 20 years and have always been satisfied with the service, the work performed and many times with the methods for problem resolution. It also helps a lot that they have a courtesy service so you get to and from work or home.” -- Karen M.
When you arrive at our auto repair shop in Downtown Denver for Ford service, our auto mechanics will perform a digital inspection, searching for any sign, big or small, of trouble. And when you leave, we will send you off with a safe and reliable vehicle, popcorn, emery boards, post-it notes, and chapstick. With Mancinelli’s Auto Repair Center, it is all about the little things. Please call us, schedule an appointment, or visit us. We’re located at 375 Logan Street, Denver, CO 80203, and are open Monday through Friday, from 7:00 a.m. - 5:00 p.m.